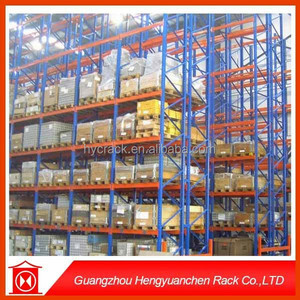 Product Name Light Duty Rack: Light duty rack belongs to warehouse storage racking systems. devotes itself to the design and manufacture of storage equipment. 5.Q:How does your factory do regarding quality control9 A:"Quality is priority. Shelf steel plate: a cold-rolled steel plate according to the required size four sides bending molding. Column and steel plate through the fast buckle pin and the triangle fixed piece connected and fixed. Now our products are sold well all over China and exported to South Korea, Japan and Europe, Australia, middle east area. 5 YRS Guangzhou Hengyuanchen Rack Co., Ltd.
6 YRS Yiwu City Keway Decorative Material Co., Ltd.
Certification Q1. What is your terms of packing9 A: Generally, we pack our goods with packing belts and plastic films. Q5. Can you produce according to the samples9 A: Yes, we can produce by your samples or technical drawings. Q6. What is your sample policy9 A: We can supply the sample if we have ready parts in stock, but buyers have to pay the sample cost and the courier cost. 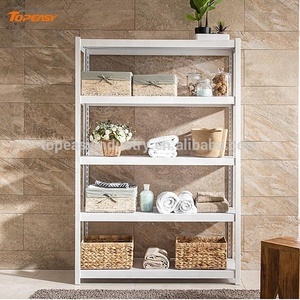 Eight Layers Boltess Rack with Plywood Board High Quality and Reasonable Price; Good reputation in the market ; Safe and Durable 1)Material: steel 2)Specification: Longth : 600/800/900/1000/1200/1500 Width : 300/350//400/450/ Height /1520/1830/1980/ 3) Material : Post: 35*35*1.4mm/38*38*1.8mm Beam: 1.5/1.8 mm Shelf Board : Metal :0.4mm / Plywood : 7/8/9mm 4)Loading Capacity: 50 kgs/layer /100 kgs/Layer 5) Finished: powder coated / zinc 6)Colour: white , black , or any color ; zinc color 7) Packing by Carton Box 8) Loading : LCL order packing by carton box first , then by pallets ; Bulk order packing by FCL full container at factory . Warmly welcome for your inquiry and visit our factory! 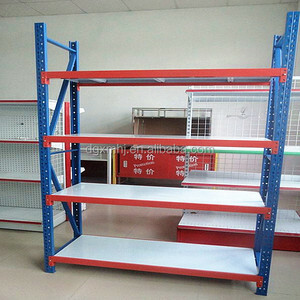 1 YRS Qingdao Jindeshun Metalware Co., Ltd.
warehouse storage rack, supermarket shelf and peripheral equipment, such as pallets, hooks, shopping baskets and trolleys are one of our featured products. 6. Q: Which port will be used as loading port9 A: Shenzhen port, the closest port to us, is recommended strongly as loading port. Short sections of samples could be provided, they are free of charge, but international courier costs to be borne by clients. Level: 4 layers boards (steel board) then 4level goods,level-hight can be adjustable freely 3). 200kg/layer (or as per your loading capacity) 4). 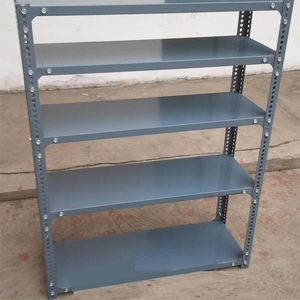 This steel rack can be dismantled and assembled freely by yourself; 2). Never stop developing the New Product Every year, our company will develop the new products to meet the market need. Export experts As we have a favorable frame and stable quality control, our products can be found in nearly all continents. 3.What is your delievery time9 Usually, the cargoes can be deliveried within 15 days after we received the deposit. Column and steel plate through the fast buckle pin and the triangle fixed piece connected and fixed. Angle steel rack is intergrated by angle steel and special screw ,freely to assemble and dismantle. Short sections of samples could be provided, they are free of charge, but international courier costs to be borne by clients. Feature: Bolted, Light duty, height ajustable, can with mdf panel 7. Thickness of Angel steel for choice:1.2mm /1.4mm /1.8mm/2.0mm 8. Packing: K/D packing,Packed with plastic film and nylond band 9 . 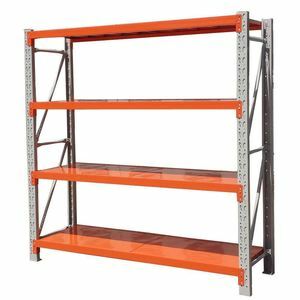 More designs of storage racks: Packing and loading pictures We are professional in making and designing storage racks , also we can make it according to your requirement. If you are interested in our products, please feel free to contact us, there are various colors, styles, and samples for your selection, we will be at your service any time! 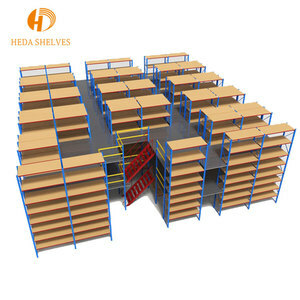 Alibaba.com offers 574 white board shelving products. About 13% of these are stacking racks & shelves, 5% are storage holders & racks. A wide variety of white board shelving options are available to you, such as wood, plastic, and steel. 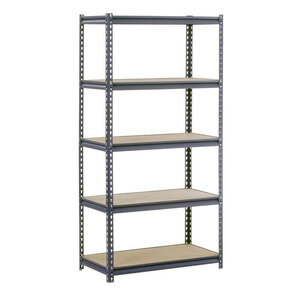 You can also choose from multi-level, plate type, and boltless / rivet shelving. As well as from supermarket, industrial, and garage. And whether white board shelving is ce, gs, or csa. 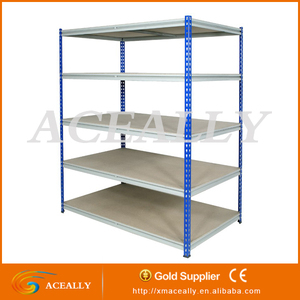 There are 574 white board shelving suppliers, mainly located in Asia. 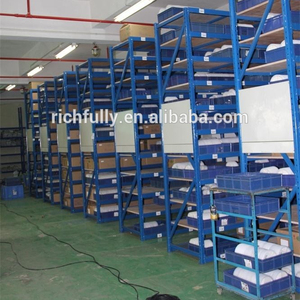 The top supplying country is China (Mainland), which supply 100% of white board shelving respectively. 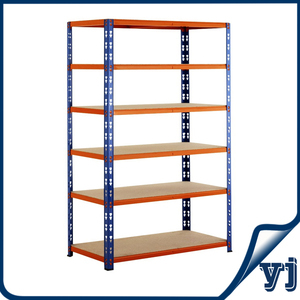 White board shelving products are most popular in North America, Domestic Market, and Western Europe. You can ensure product safety by selecting from certified suppliers, including 212 with ISO9001, 65 with Other, and 35 with FSC certification.